APS have a number of commercial and retail clients that we have created installations for to raise awareness and increase footfall and linger-time. 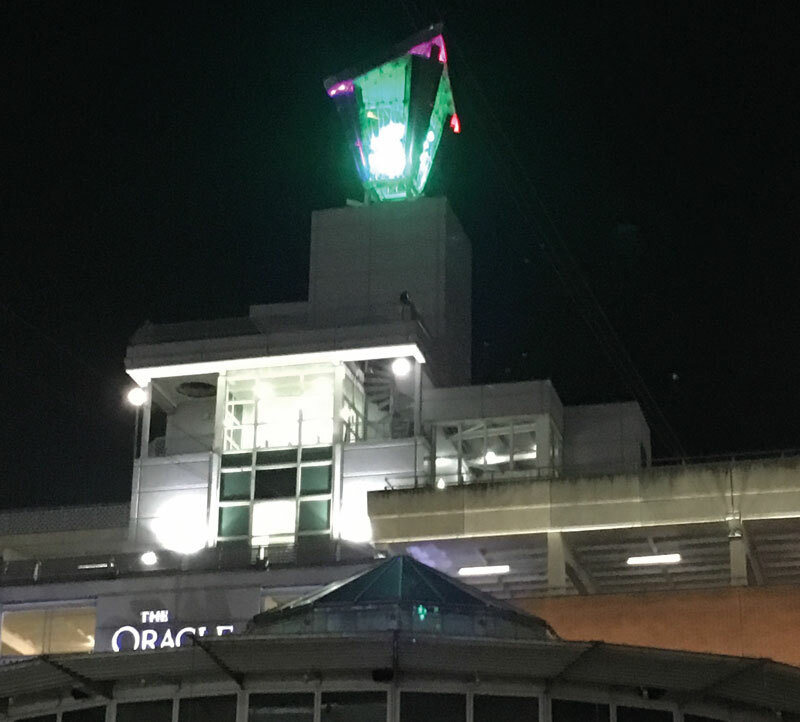 One example is the beacon on the top of The Oracle Centre shopping mall in Reading. APS designed and built a revolving mirrored light effect that can deliver a wide range of different coloured effects in accordance with our customer’s needs (for example, Valentine’s Day, St Patrick’s Day etc.). The owners, Hammersons, feel that this landmark has become significant as the retail outlets complain if the Beacon is not turned on. This installation also won an award for the Oracle Centre. 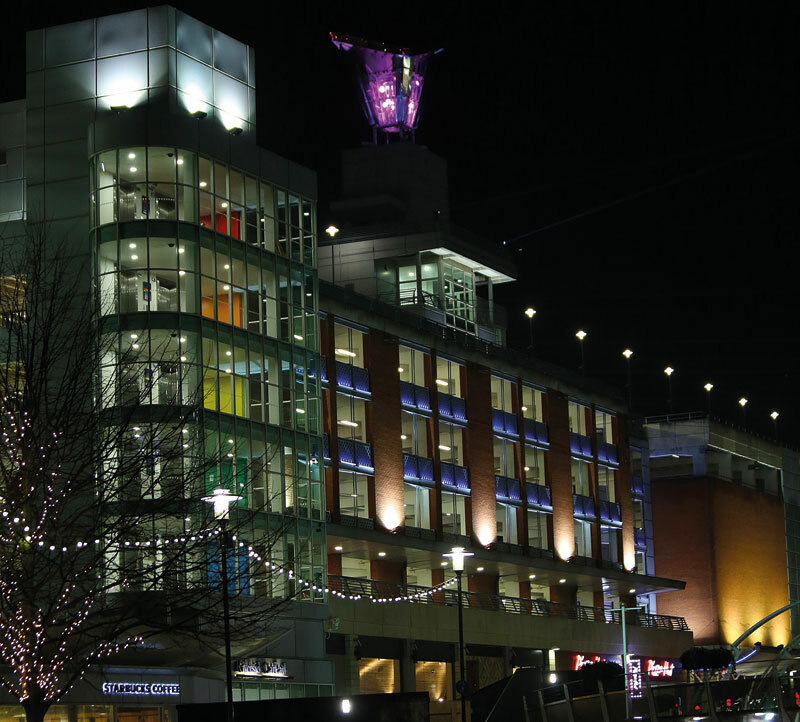 Since becoming something of an iconic feature in Reading, it is easy to see why the Oracle Beacon has become such a valuable landmark for the Oracle Shopping Centre. 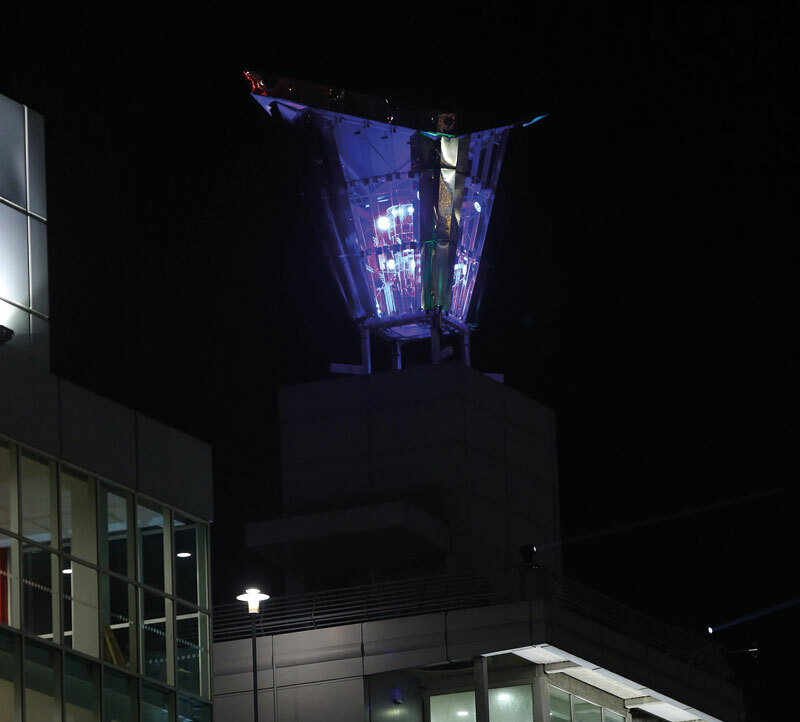 Not only does it act as a constant guide to would-be shoppers, it also helps the Centre act as a meeting place for lost souls and those who want to find out more about the strange light in the sky!